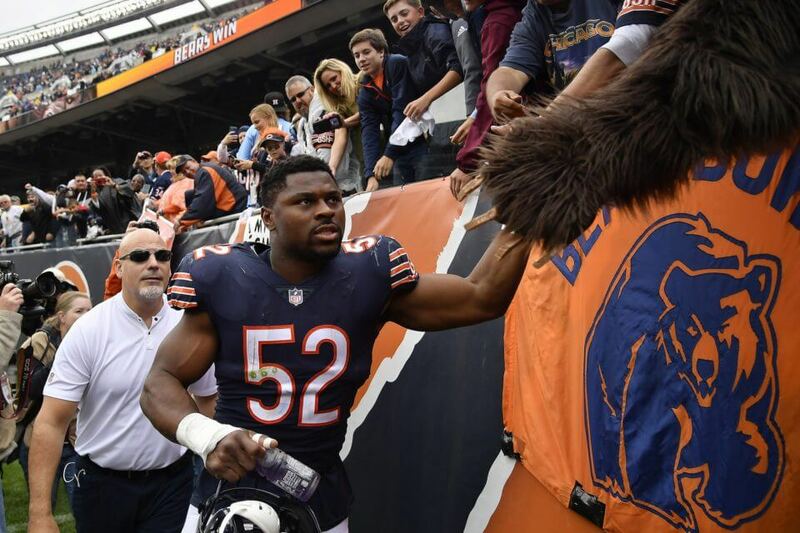 Oakland Raiders fans continue to feel the sting of Khalil Mack’s departure to the Chicago Bears. However, head coach Jon Gruden has managed to pour salt in the wound once again with his recent comments. “Khalil Mack had another strip sack?” Gruden said. “Are you … kidding me? Needless to say, Gruden’s comments are a reminder of what Oakland has been sorely missing out on this season. It is also another example of the terrible habit Gruden has of contributing to the irony of his decision to trade Mack in the first place. It should come as no surprise to see Mack perform so well. He had done much of the same during his four years in Oakland. However, it appears that the three-time Pro Bowler and former Defensive Player of the Year is on pace to enjoy his best season yet. He has already registered 17 tackles, five sacks, four forced fumbles, and one interception for a touchdown in four games this year. More importantly, his dominant play has helped spur the Bears to a surprising 3-1 start. Meanwhile, the Raiders are still trying to find a way to get to the quarterback. Gruden has added to the frustration by acknowledging their dire need for legitimate pass-rushers. To add even more insult to injury, the Bears currently pace the NFL with 18.0 sacks this year while the Raiders are tied for last with 5.0 sacks. Needless to say, the pain of Mack’s departure will undoubtedly be felt for years to come.